Huntington Beach's Newest, Safest, Cleanest, Fastest & Greenest Laundromat! Don't want to do your laundry? Let us do it! 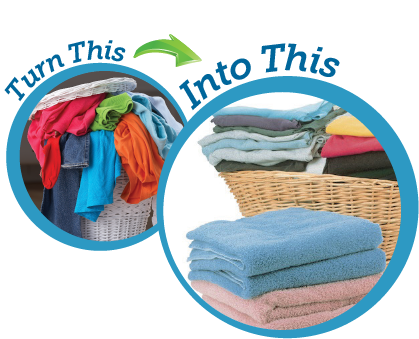 Our staff will professionally sort, wash and dry your clothes exactly how you like them. When you pick them up, they'll be nicely folded (the way you want them), hung on hangers (as you desire) and wrapped just for you, ready to wear or put away. Think of Perfect Wash for ALL of your laundry needs. *Certain specialty items or items requiring special attention may take longer. Add one to two extra business days for weeks containg holidays. 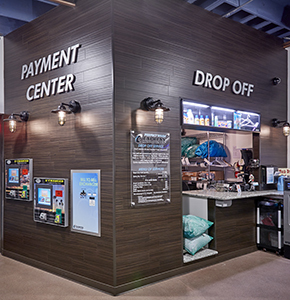 Perfect Wash Express Laundry Center is also partnered with a local, high-end, professional rug cleaner. Rugs sent out usually take 2-3 weeks to be processed. See pricing to the right. We encourage B.Y.O. Hangers and will recycle ours. - We will always err on the side of Under Promising and Over Delivering!